In this Topic, we are going to Learn about Business Intelligence Tools, As going to the next level of growth is one of the major goals of any company or organization. There are two important reasons why this is one of the most important goals for them. Firstly, a company is never in a steady state, it is either moving in an upward or downward trajectory. If the growth strategies of the company are working, then they are headed towards the next level of success while growth strategies that do not work, may result in overall failure. This means that focusing on growth will help a company remain aligned to their success goals in an effective manner. The second benefits of growth are extremely tangible like making profits and generating investments to create better and bigger plans. That is why growth is one of the most important ingredients that will decide the valuation of any organization. 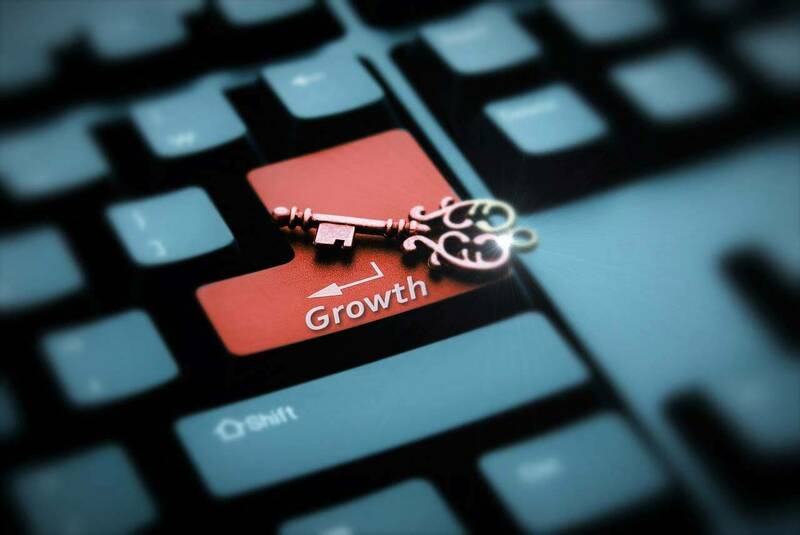 How can business intelligence tool help companies achieve growth? Data is one of the most essential elements that can help a company to maintain its growth trajectory in an effective fashion. Merely accumulating data cannot provide companies with any tactical or strategic benefits. However, by converting this data into an asset, brands can add real value to their organization. This means that by using data techniques, brands will be able to analyze and discover trends, facts as well as observations that were hidden, thereby creating campaigns that target their audience in a much-enhanced manner. This is where business intelligence can help brands to achieve that goal. Business intelligence provides companies with a business intelligence tool that can help them to convert massive amounts of data into intelligible information, which can be effectively used to create plans and campaigns. Interactive dashboards which form an important aspect of business intelligence help the companies achieve this goal as dashboards allow data to be filtered, thereby bringing to lights facts and figures which were hidden so far. These data findings then help companies to launch new campaigns and programmes, thereby providing them with a direction to further their brand power. This means that business intelligence can help companies to launch effective marketing programmes, create targeted sales campaigns for a target audience, plan production with maximum efficiencies and manage cash flow to reduce financing cost. Overall, business intelligence can help companies to make better and good decisions in almost all aspects of business production. Here are some of the best and most productive business intelligence tools that can help your company reach the next level of growth in an effective fashion. The tool has interactive and intuitive filtering which uses checkboxes, radio buttons and sliders. These make it very easy to dial down data. The tool allows companies to access dashboards from any place be it a web page, company intranet, wiki or smartphones. The tool allows companies to share insights via simple scripts that be embedded, uploaded or sent to collaborators. Clear analytics eliminates the need for a data warehouse to pre-aggregate data with the help of the Logical Data Warehouse (LDW) approach. Clear Analytics is a piece of cake and has minimum learning, especially for a person who is familiar with Market Excel. The tool makes it easy to trace and audit data, thereby ensuring compliance on the entire company level. Let’s move to the next business intelligence tool. This business intelligence tool apt for companies that require a full and detailed picture of every process conducted within their walls. A full function tool, SAP Business Intelligence has been designed to cater to a diverse set of needs and functions. By replying to the demands of IT professionals, senior management and end users, this tool has a robust infrastructure, thereby hosting a wide range of functionality in one integrated platform. It has limited free trial. Some features of this tool are as follows. A single integrated platform, SAP Business Intelligence brings together applications and reporting business intelligence tool to provide companies with a detailed snapshot of their organization process. Through the process of visualization, SAP Business Intelligence makes it easier for companies to understand their data in a comprehensive and strategic manner. This tool helps companies to improve the collective IQ by giving collaborators deep insight into data and performance indicators, which can go a long way in helping create future plans and goals for the company. It is possible to deploy Oracle Hyperion System independently, either in the cloud or on site. This tool can be integrated with other Oracle tools, thereby creating a robust and impressive business solution. Pentaho business intelligence can be embed and integrated into the application of the company into a swift and fast manner. This tool has intuitive and interactive analytics which employs lasso filtering, zooming, attribute highlight and drill down features that can provide insights into the company working and functioning. MicroStrategy runs against data stored in ERP systems, data warehouses, and operational databases. MicroStrategy can be used either through a mobile app or desktop. It is possible to save data either through on-site or in the cloud via Amazon Web services. This tool offers business intelligence for non-techies, usually with no help required from the IT team. It integrates current data from many sources with a hundred percent accuracy. It is completely interactive with fully customized dashboards. With functions like reporting, multi-dimensional analysis, ad hoc queuing and dashboarding this tool is extremely comprehensive and all-encompassing. The corporate performance management aspect of this tool allows companies to perform a range of functions like financial forecasting, budgeting planning, profitability analysis, and financial consolidation. A single interface, BOARD eliminates the usual complications that force multiple business intelligence tools to work together. The Microsoft business intelligence tools allow companies to drill down, analyze and visualize data through Excel. It enables report sharing along with a host of collaborative features that make this tool easy to use. With self-service capabilities, this tool effectively reduces the burden of IT. This business intelligence tool can be integrated into almost any mobile device or app. This means that that the tool can be scaled, thereby becoming available to almost any person in the company Jaspersoft is available on cloud or on-premise as well. This tool can be downloaded into any smartphone device or used as a web scalable platform that can embed at any place. It is a self-service tool that allows companies to perform data analytics, gain insights and manipulate data. It is a visually appealing dashboard that presents data in a simple and systematic manner. This tool provides customized solutions for various sectors like banking, consumer products, and insurance, etc. Centralized metadata, governance, and scalability are some of the major features in this tool. Data visualization make it extremely simple to understand big data and infer their insights as well. Auto charting removes the need for coding and IT support. All in all, business intelligence tools are an extremely important component in the growth story of any company and investing in them is the best way to ensure that your brand can continue on the growth trajectory for a long and continuous period of time.